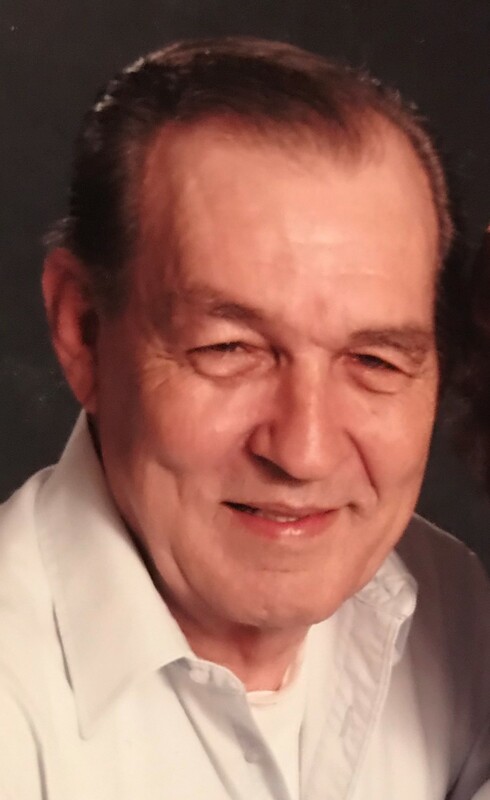 Robert Johnson, of Vian, Oklahoma, passed this life on January 15, 2019 at his home. He was born in Vian on August 17, 1944 to Johnnie B. and Cledith McConnell Johnson. He was a heavy equipment operator. Robert is survived by his wife, Jerry, of the home; children, Robert Johnson Jr. and wife, Anita, Carolyn Davis and husband, Paul; grandchildren, Heather Hutson, Robbie Vann and Justin, Jamie Davis and Travis, Robert Johnson, Rob Boyd, Patrick Davis, Shawn Davis, Erica King and Amy Davis; great grandchildren, Zach Hutson, Ellci Lu Vann, Bella King, Seth Davis, Heidi Davis and Freya Davis; and brothers, Roger Johnson and Jimmy Don Johnson; along with a host of other family and friends. Robert was preceded in death by his parents and one brother, Johnny Wayne Johnson. Visitation will be Thursday evening, January 17, 2019, from 6:00 - 8:00 PM in the Sequoyah Memorial Chapel of Forever Memories Funeral Service, 463505 Hwy. 101, Sallisaw, OK. The funeral service will be held on Friday, January 18, 2019 at 1:00 PM, at the First Free Will Baptist Church, Vian, Oklahoma. Burial will follow in the Garden of Memories Cemetery, in Vian. Brother Garry Brown and Mr. Carl Clark will officiate. Casket bearers will be Willie Mitchell, John Brockman, Rob Boyd, Steve Rolston, Justin Vann, Robert "Doogie" Johnson, and Danny "Boone" Smith. Honorary casket bearers will be Bill Knight, Don Brockman, Roger Johnson, Rex Johnson, Mason Johnson, Charlie McConnell, Zach Hutson, John Hamilton, David Thornton Sr., David Thornton Jr., James Thornton, Patrick Davis, Shawn Davis, Edward "Chief" Elbon. Funeral arrangements are under the direction of Forever Memories Funeral Service in Sallisaw, 918-775-2222. Rob, my heart breaks for you. Oh, what a beautiful reunion in the sky that was. So sorry to hear about Bub.He was a great & special man.May God you in this difficult time. So sorry Robert and Anita. I am so sorry to hear about the loss of a good man who loved his family. My thoughts and prayers for strength, comfort, and peace go to Jerry, their children, grandchildren, great grandchildren and all those who loved him dearly. We are so sorry for your loss, Our thoughts and prayers are with the entire family, may God comfort you all and give you peace in this time of sadness and sorrow. Heaven has gained a good man.